Congratulations to Corrine, Danielle, Gay, & Megan! 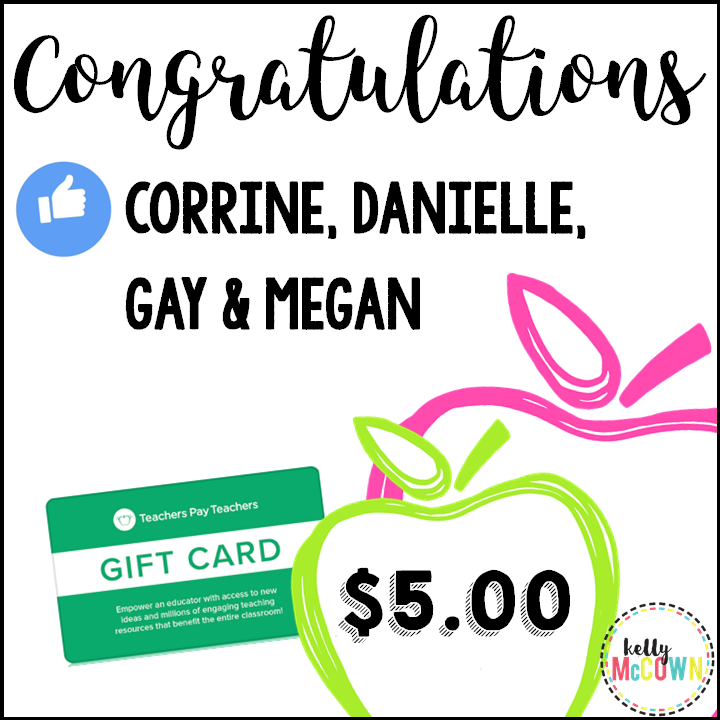 They each won a $5.00 TpT Gift Card. How did they win? They subscribe to the newsletter.